Sherrie’s professional career began in 1984. After completing her child care studies, she spent 11 years teaching in child care education and became a key person in implementing Australia’s national child care accreditation principles for child care centres on the Gold Coast. As a recognized leader in the field of child care, Sherrie was invited to Hong Kong to facilitate workshops for early child care teachers at an international school. Sherrie is a certified Senior International Trainer in the Mace Energy Method™ – a practical method developed by the renowned John Mace. 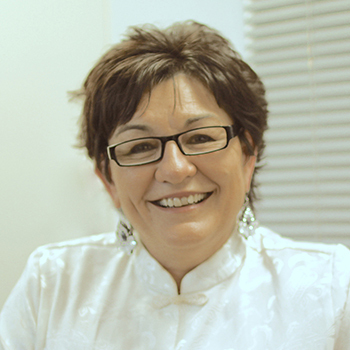 Before achieving this advanced professional standing, Sherrie traveled and worked in Hong Kong, Singapore, and Hawaii as well as in one of Australia’s leading natural health centres as a teacher of spiritual growth and development. For the past 13 years, Sherrie has devoted most of her time to sharing the Mace Energy Method with clients and trainee’s in Australia, New Zealand, Hong Kong, USA, Canada, and UK — assisting them to eliminate long-term emotional scars, stress, depression, addictions, and negative self-image in minutes. Sherrie teaches people to do just that in her programs of personal and professional development, guided by the core values she holds dear: integrity, truthfulness, simplicity, practicality, and playfulness. She is married, has three grown children, has six grandchildren and lives in Australia in the Gold Coast Hinterland.